ALBANY, NY — Reproductive rights activists with the National Institute for Reproductive Health Action Fund and Physicians for Reproductive Health came from across the state today to hand-deliver nearly 4,500 signatures on petitions to their legislators in support of the Comprehensive Contraception Coverage Act (CCCA), a groundbreaking bill that would improve access to contraceptive methods for both women and men. The CCCA, which passed the Assembly in January and is pending in the Senate, would guarantee insurance coverage without a co-pay, allow individuals to obtain up to a year’s worth of contraception at a time, cover male contraceptive methods, and increase access to emergency contraception. The CCCA has bipartisan support, and is sponsored in the Senate by Republican John Bonacic. New York has one of the highest rates of unintended pregnancy in the country. Despite the advances of the Affordable Care Act, gaps in contraceptive insurance coverage, inconsistent access to coverage or care, and high co-payments remain, in direct conflict with federal guidance. The CCCA would build on the existing state and federal law, enabling patients to make informed decisions about their birth control options, improving their chances of consistent use, and lowering rates of unintended pregnancy in New York state. 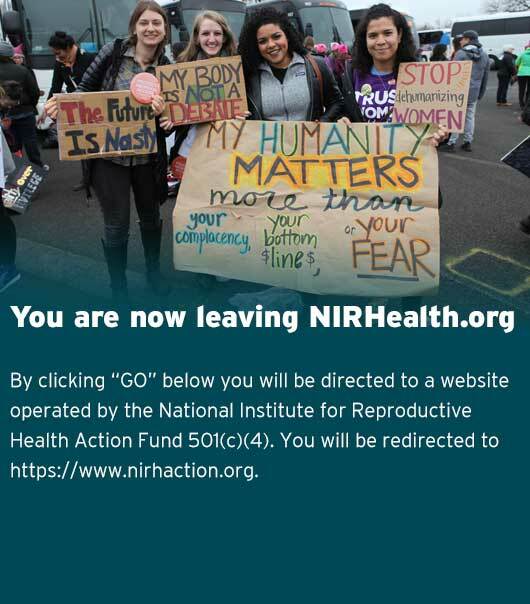 In concert with the National Institute for Reproductive Health Action Fund’s Lobby Day, Raising Women’s Voices-NY, an initiative focusing on health reform and women’s health, described new research today demonstrating the necessity of the CCCA. Raising Women’s Voices-NY conducted exhaustive research of insurance plans across the state and found significant gaps in New York’s contraceptive coverage. New Yorkers from across the state will meet with about 50 senators and assembly members today to urge passage of the CCCA, as well as other reproductive health care legislation, including the Reproductive Services Act, which would ensure that New York state law guarantees all the protections contained in Roe v. Wade, and comprehensive sexuality education across New York State.